For parents whose children are going through the school admissions process for the first time, a visit to a school open day or tour (be that a primary school, secondary school or sixth form college) can seem worrying. It can seem difficult to know what to look for or even overwhelming if a visit is organised by the school to include demonstrations, talks, the school in action and even displays of music, sport, art or dance talent in the school. 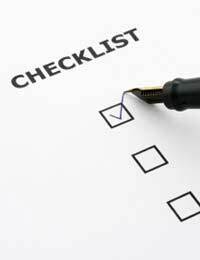 It's a good idea to write a list of things you want to look for and questions you want to ask in advance. That way, you won't forget any important issues, and if you take the paper along with you on the visit, you can note down observations that will help you to choose the right school for your child - attending several schools for a visit, they can each merge into one another. This article will advise on a checklist that parents can put together in advance, for kinds of questions and observations that will form an important part of a school visit. Do classrooms that you're not entering sound noisy or disruptive as you pass? Think about the whole school environment, not just the bits that your tour guide is pointing out. See how the staff are teaching - are they dictating from a book, using visual aids, or involving students in questions and activities? Check if all students are engaged with the lesson, and whether they are correctly dressed in uniform and/or neatly presented- these aspects can be important indicators of the overall atmosphere of a school. How does the school involve parents and provide progress reports? Are their son or daughter enjoying their education at the school? What are the school's best and worst features? Have school fees recently risen, and are facilities often updated? How often does the head teacher have contact with staff, students and parents? Are teachers willing to talk to you? Apprehension might either show that the school has something to hide, or that the teacher is not up to date on the questions you're asking such as details about the curriculum. Features you should look out for include school facilities, like sports, arts and IT equipment, the quality and variety of school meals, (check a menu if you're not there at lunchtime), library facilities and variety of books, and any unusual opportunities and facilities offered within the school community, such as horse riding.